(CBS/AP) MOUNTAIN CITY, Tenn. - An unfriendly Facebook relationship turned downright deadly in northeast Tennessee, authorities say. Marvin Potter is accused in the shooting deaths of a couple who removed his adult daughter as a friend on the social network. The victims had complained to police that Potter's daughter was harassing them after they deleted her from their Facebook friends list, Johnson County Sheriff Mike Reece said Wednesday. The 60-year-old father is charged with two counts of first-degree murder for killing Billy Payne Jr. and his girlfriend, Billie Jean Hayworth. The two were shot to death in their Mountain City home. They have an 8-month-old baby, who was found unharmed in Hayworth's arms. Law enforcement officials have been involved in other incidents where Potter's daughter, Jenelle Potter, thought she had been slighted by someone. Jamie Curd, Marvin Potter's friend, has also been charged in the murders. The 38-year-old Curd reportedly had a romantic interest in Janelle Potter. 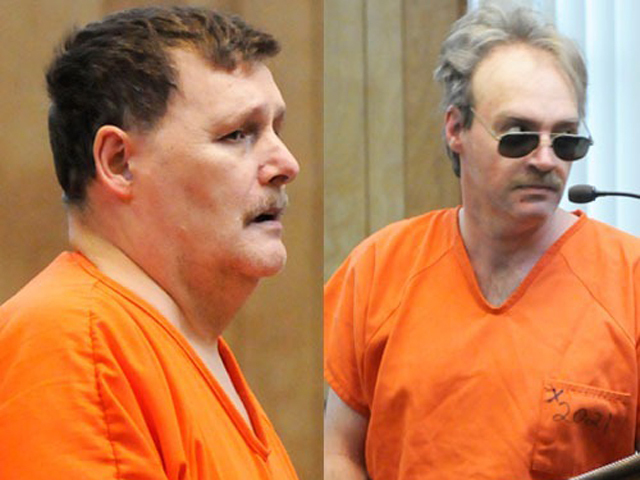 Potter and Curd were arraigned Wednesday. Curd's initial bond was raised to $1.5 million while Potter remains jailed on his initial $200,000 bond.